Next week, along with elementary schools across the country, RLS will celebrate Dr. Seuss’ birthday and Read Across America Day. Both events celebrate the life and work of Dr. Seuss while encouraging a love of reading. Classrooms at RLS will participate in a variety of activities including a spirit week! Each day is connected to a different Dr. Seuss book that will be read in class. 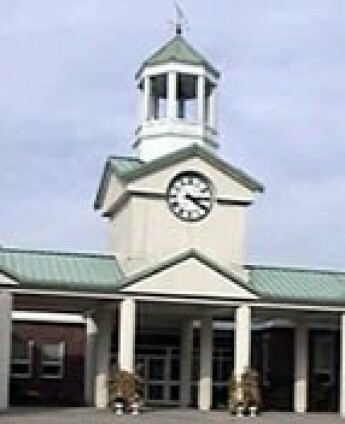 The grade level with the highest participation each day will earn additional recess time. Monday, The Cat in the Hat – Dress like the cat, Thing 1, Thing 2, or whatever you would like to do! We are excited for a fun week of celebrating our love for reading! The responses are being collected and will be posted on the front doors of our school in clusters of 100. 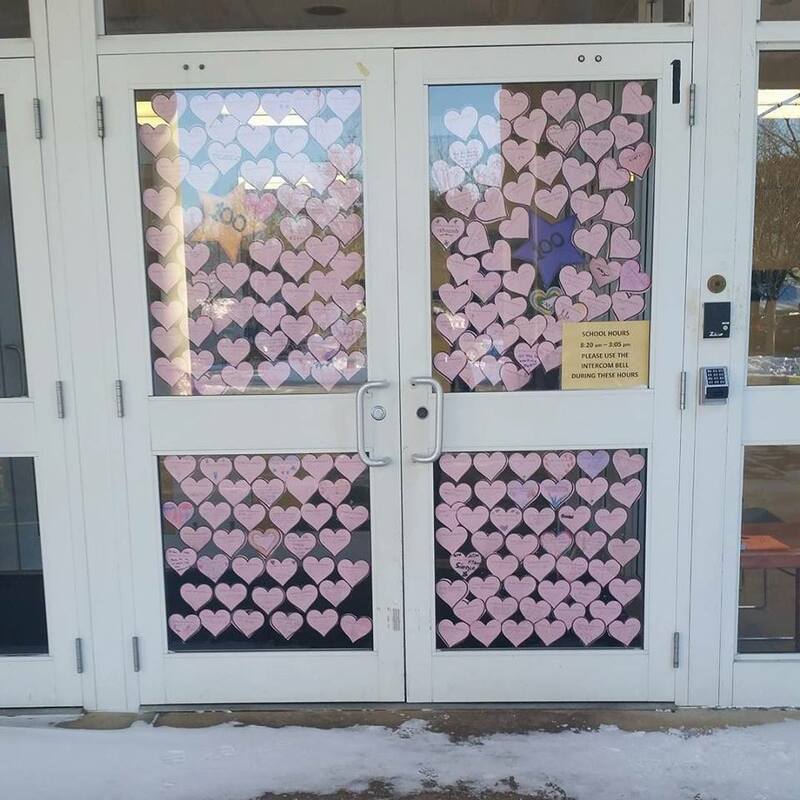 This was just one way we celebrated the 100th day but we wanted to share the love with all of you and look forward to having you see our hearts adorned on our front doors starting tomorrow. For now, check below for some samples! I know it will come as no surprise to any of you that of the 232 responses we have gotten so far, 81 mentioned teachers or other staff members! I want to take this opportunity to again thank our staff for being so kind and caring and developing strong relationships with all of our RLS kids! Clearly, your hard work is making a difference in their lives! What is one thing you love about RLS? Feel free to add that in the space available below to comment! Gym, art, media, snack, Writer’s Workshop, reading – well everything! That I made a lot of friends and they treat me so well. They are the best! When we are all working together on projects for the whole school! Awesome Kid’s Blog: 100 Years of Awesomeness! When I am 100 years old I will help people that are homeless and I will say to my wife that I love her and say to my daughter that I love her too.